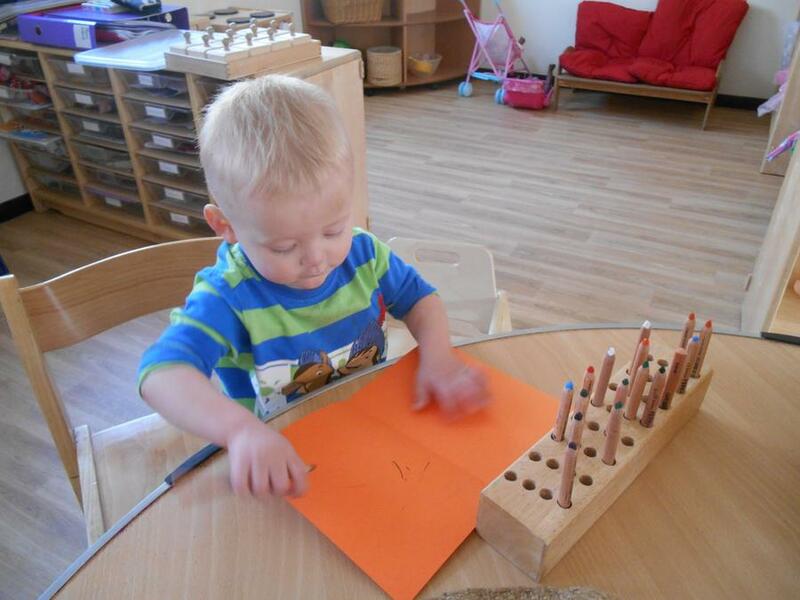 We would like to welcome all our new children that have joined us, they have been amazing at settling in. 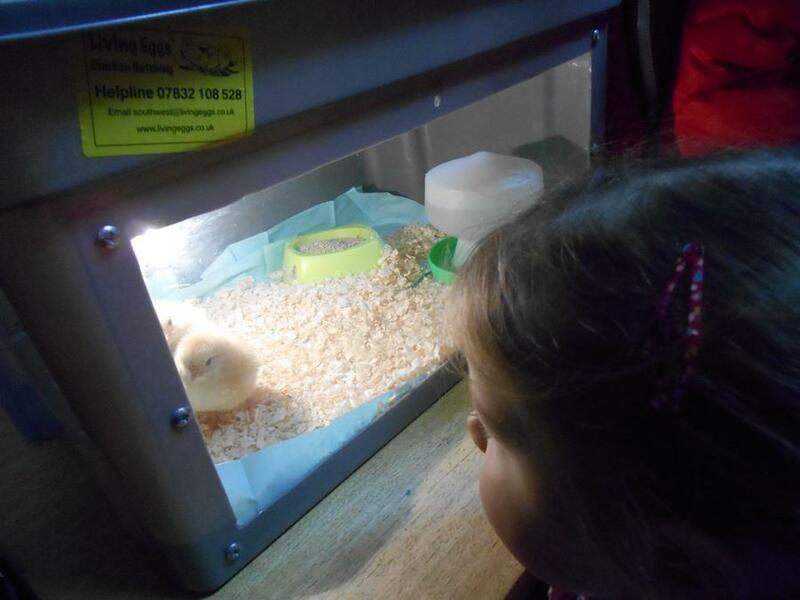 We have been learning the Nursery rhyme Old Macdonald had a farm this term. 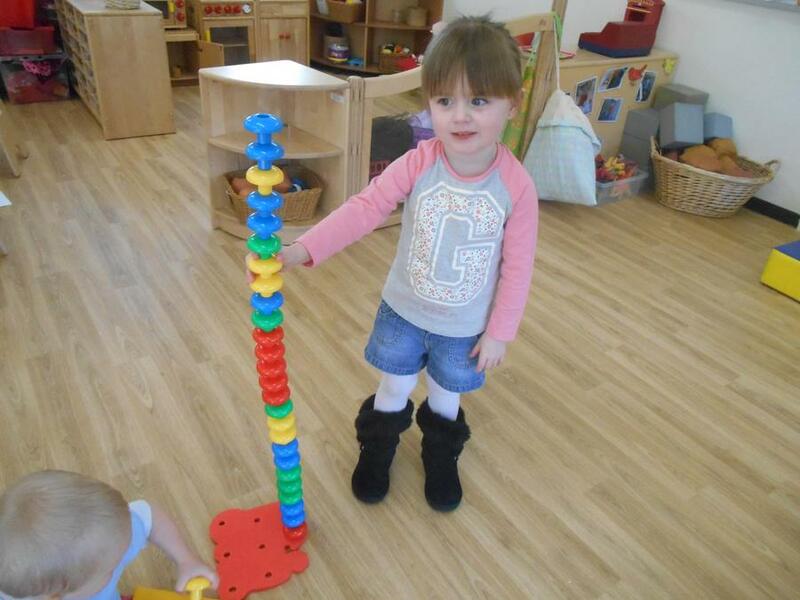 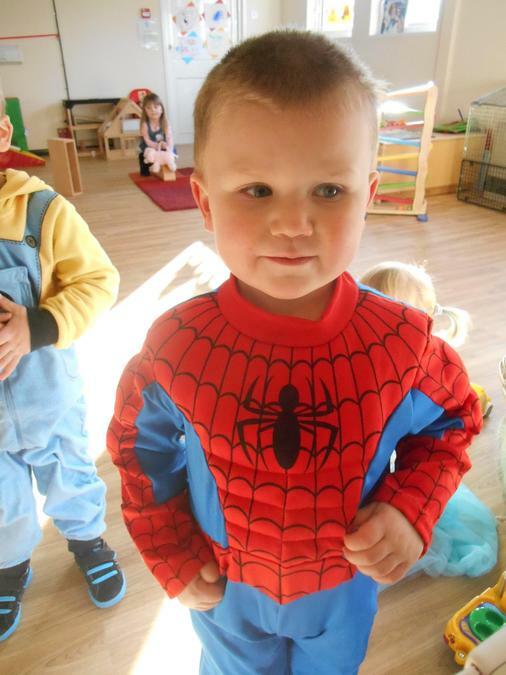 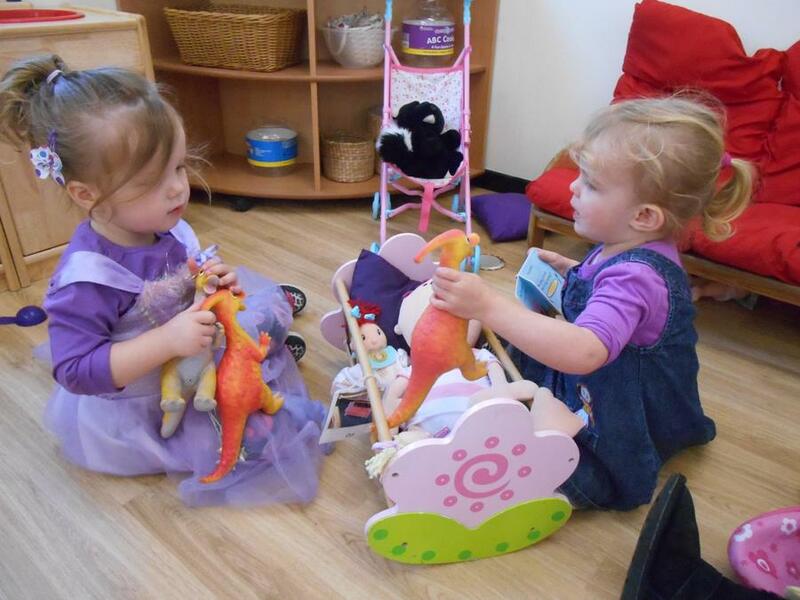 The children have enjoyed lots of 'small world' play with the farm animals, farm stories and games. 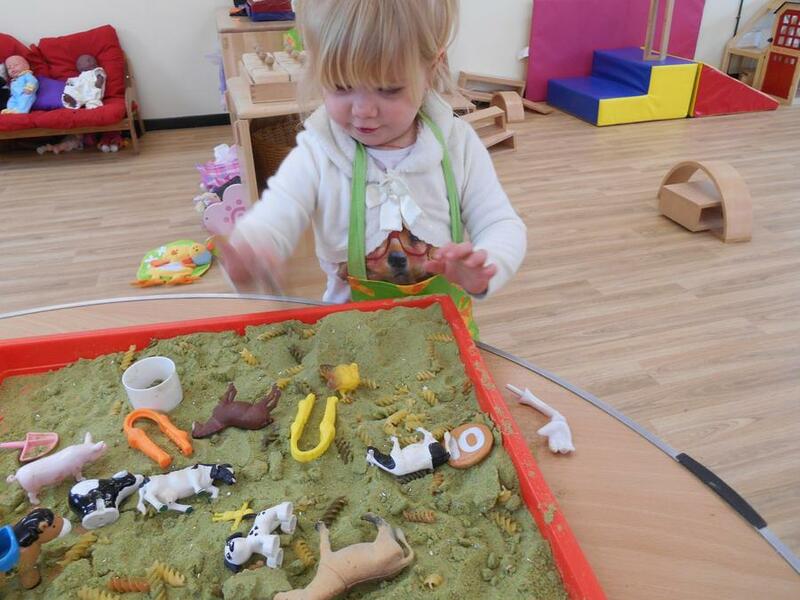 We have got a display of all the children's creative farm animal pictures in our room, so please feel free to pop in and take a look. 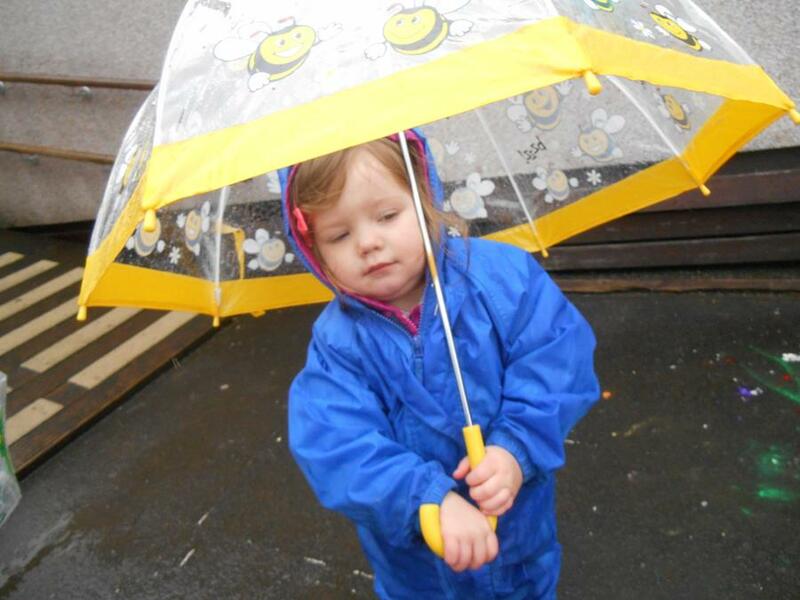 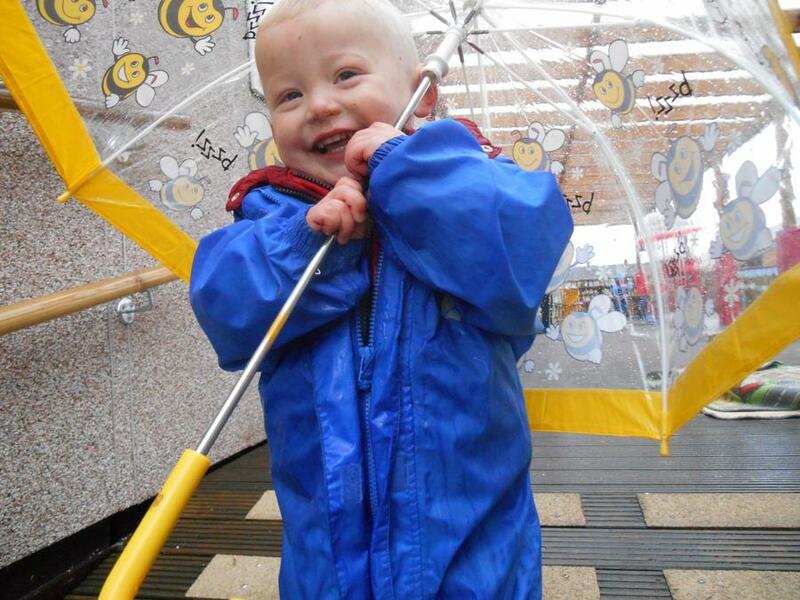 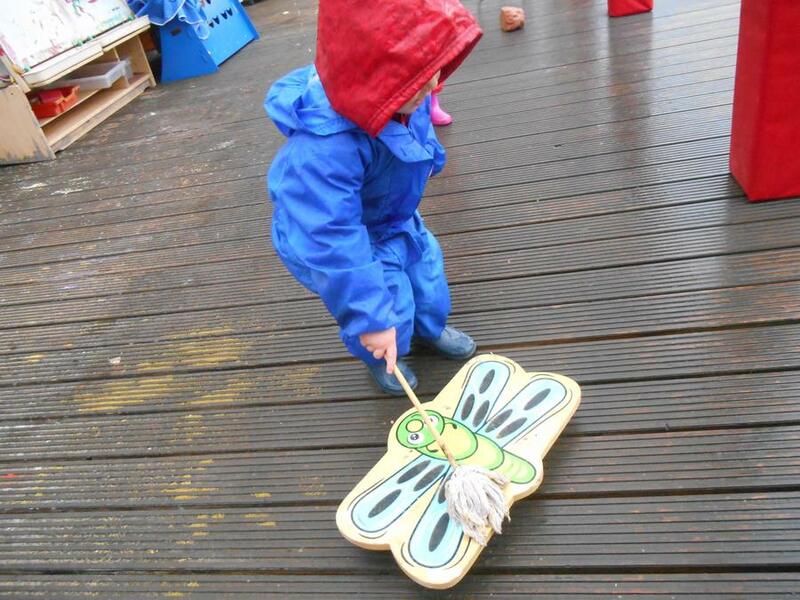 Even on rainy days the children enjoy going outside to explore and learn. 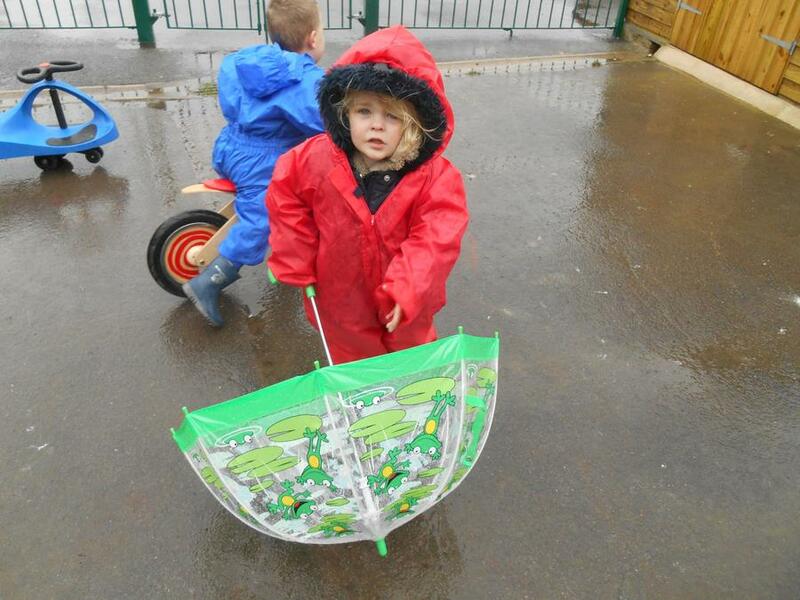 Look at us with our umbrellas and having fun. 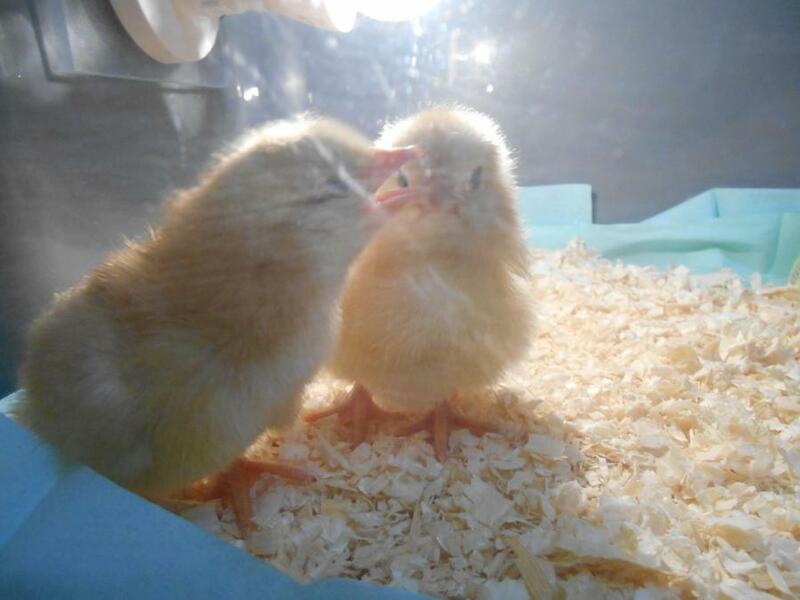 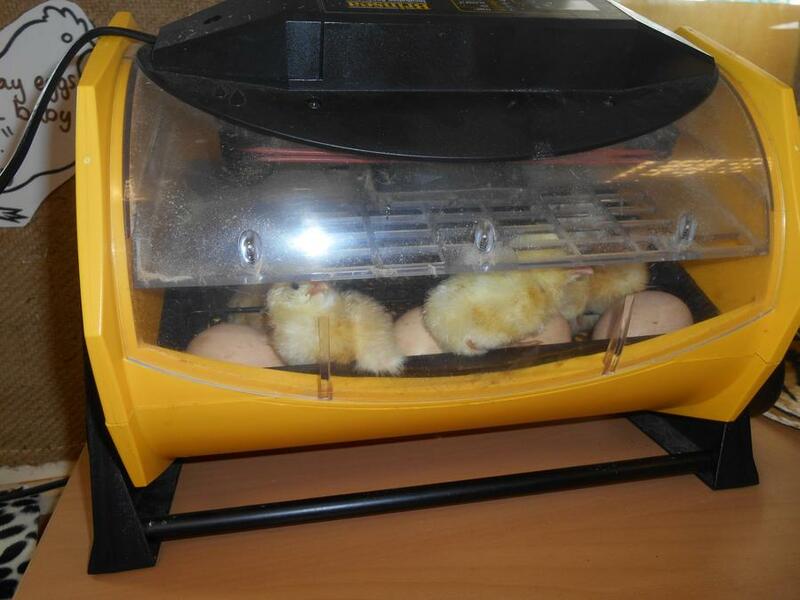 This week in Reception class their chicks had hatched!! 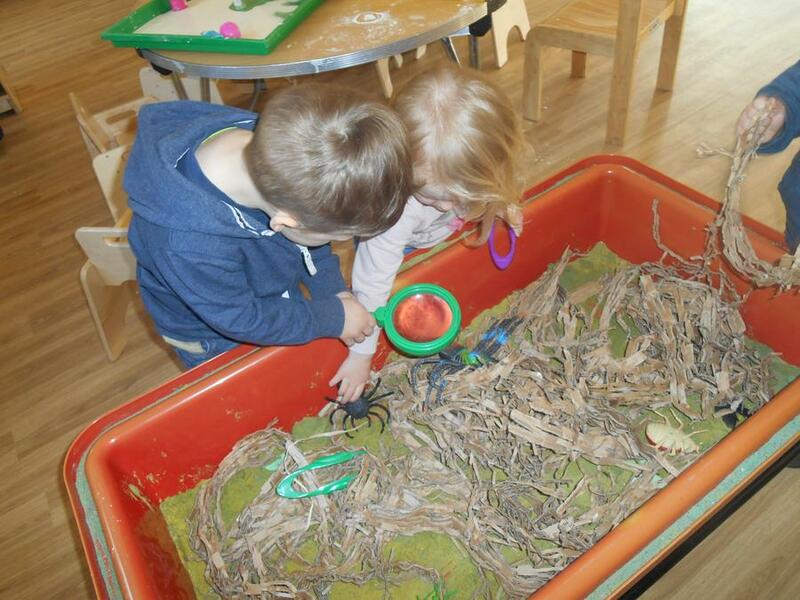 We were invited to go and take a look. 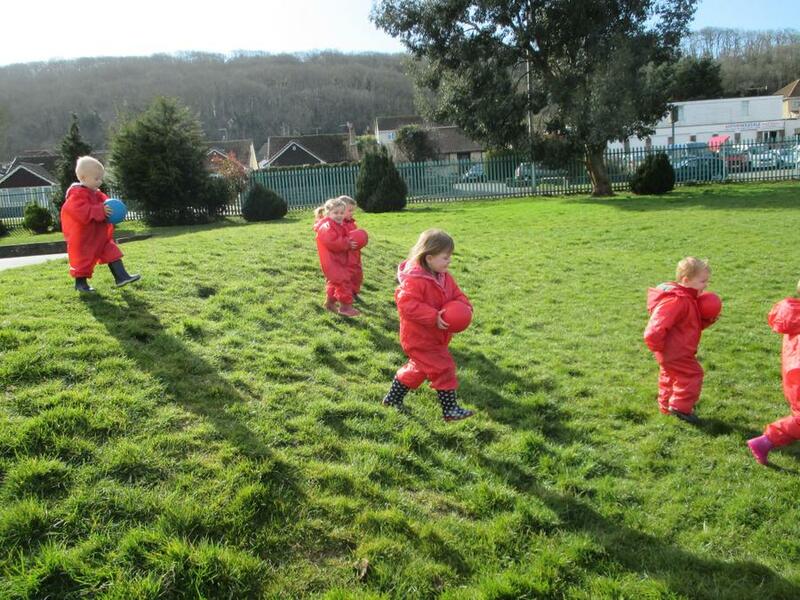 The children loved how they walked around and huddled together to keep warm. 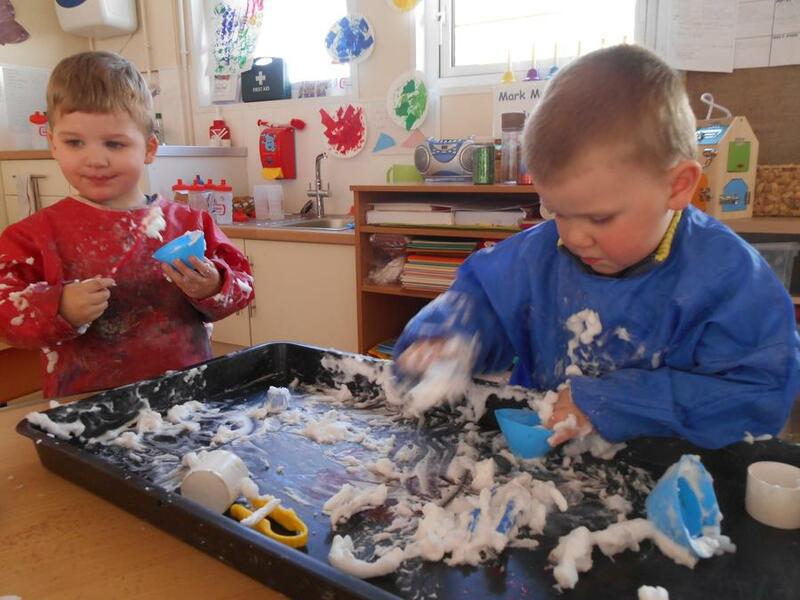 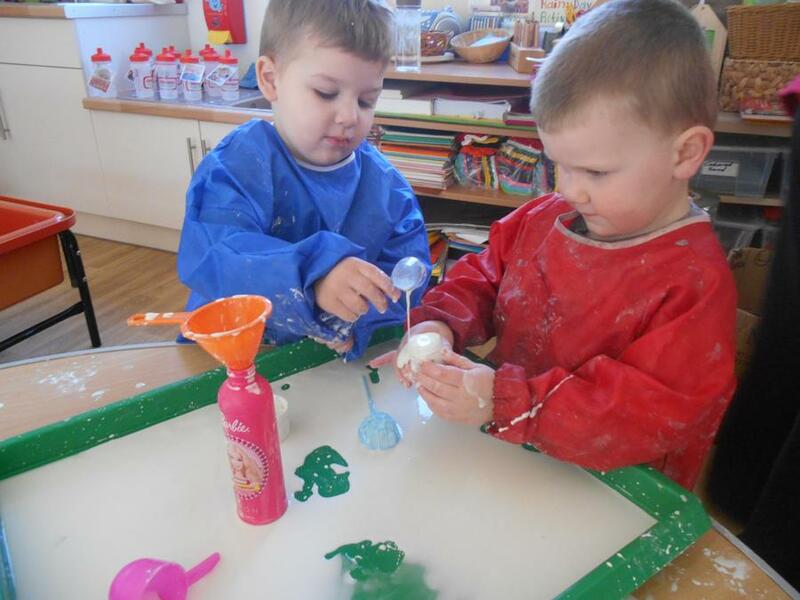 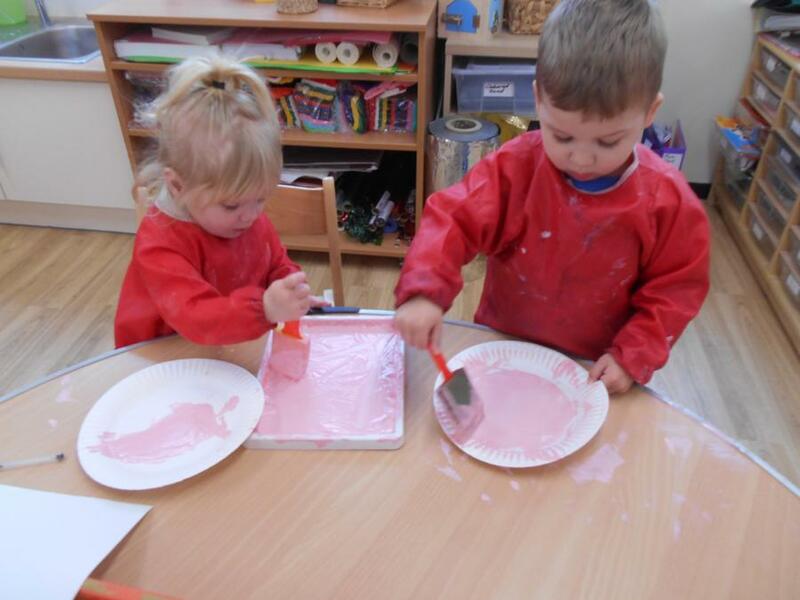 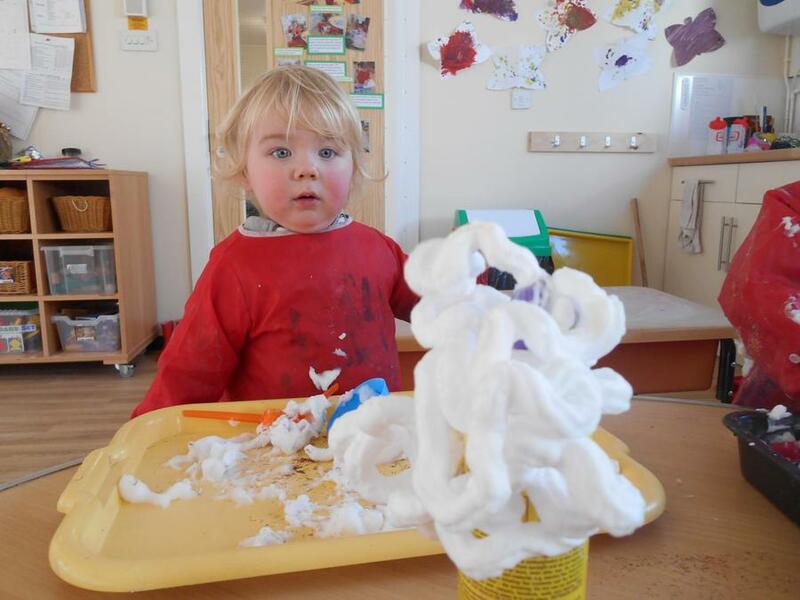 We have enjoyed lots of messy play activities, exploring how things feel and smell. 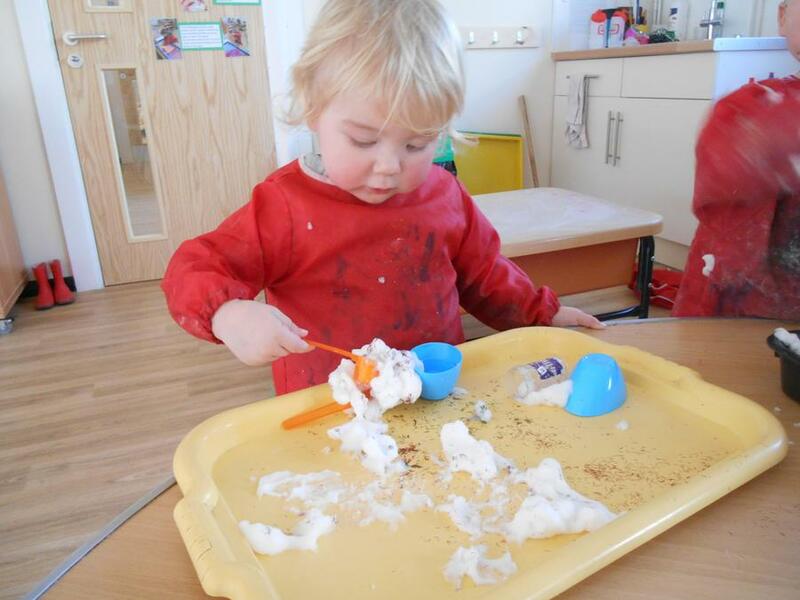 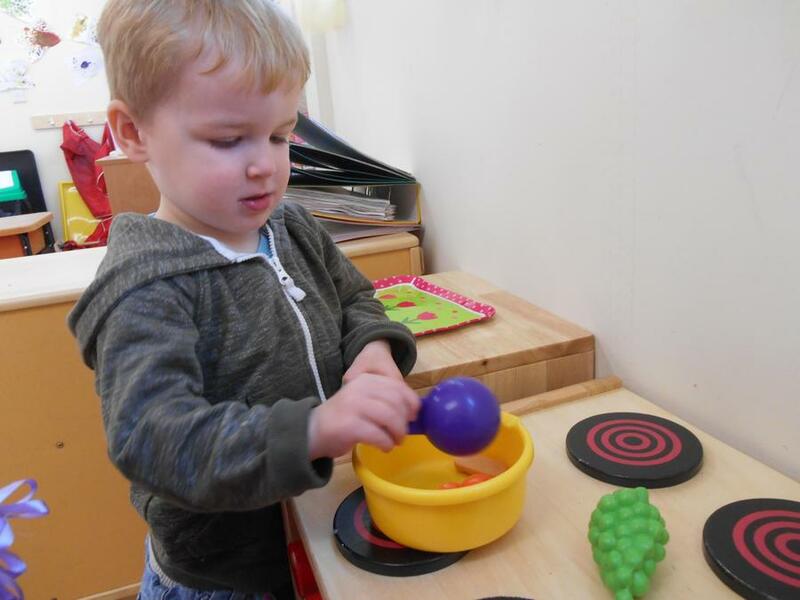 We enjoy adding different things to our messy play, as well as using different pots/containers and utensils. 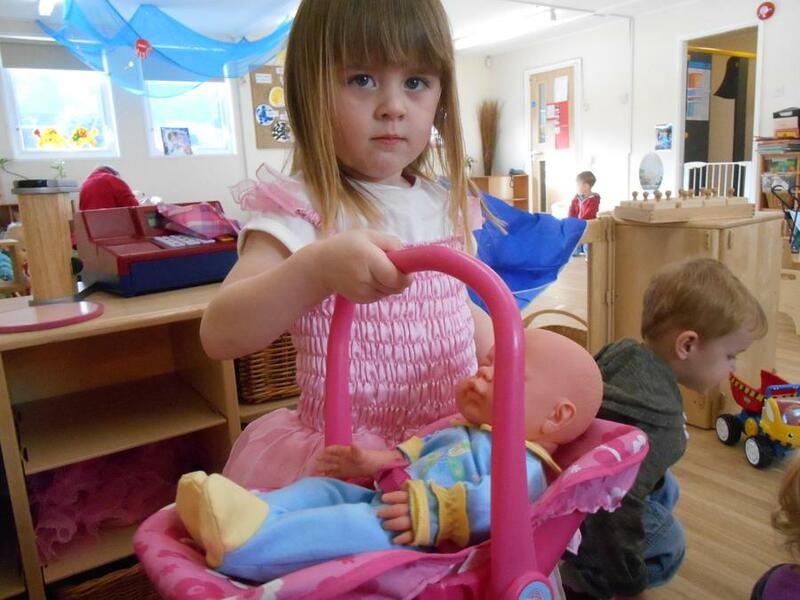 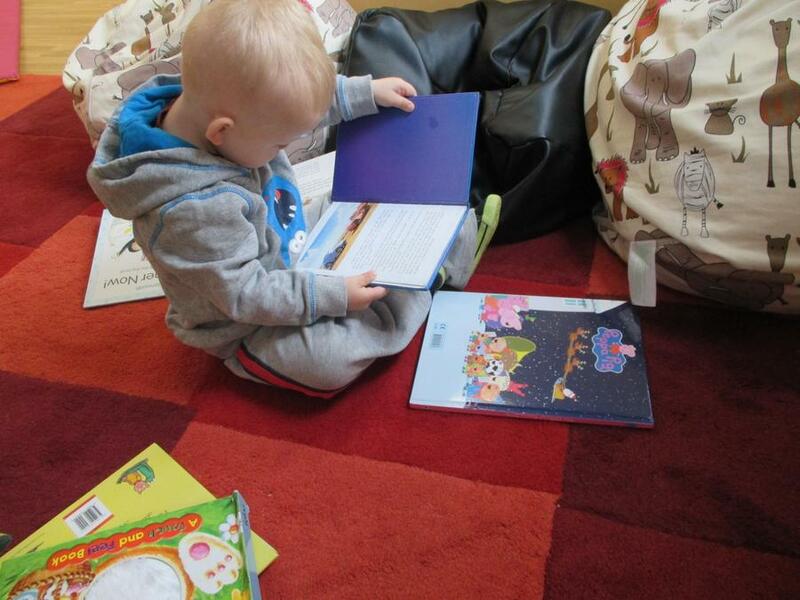 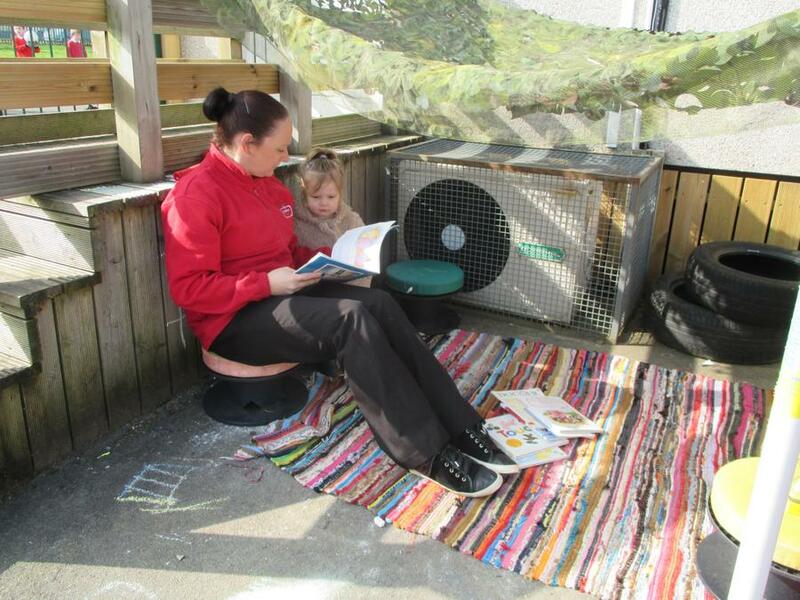 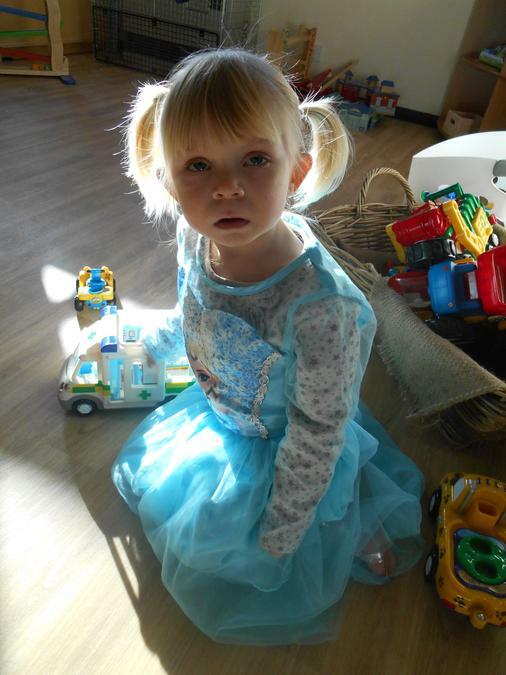 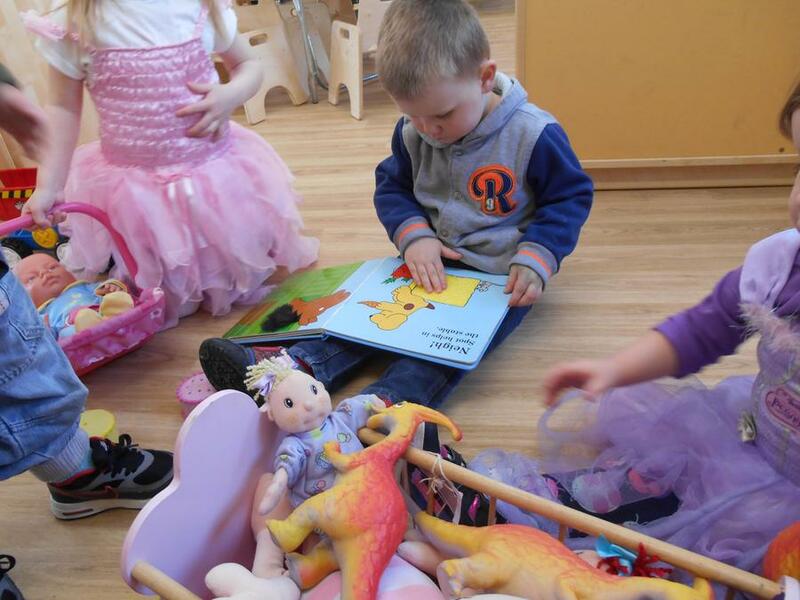 The children have been looking after their babies, giving them toys, food and reading them stories. 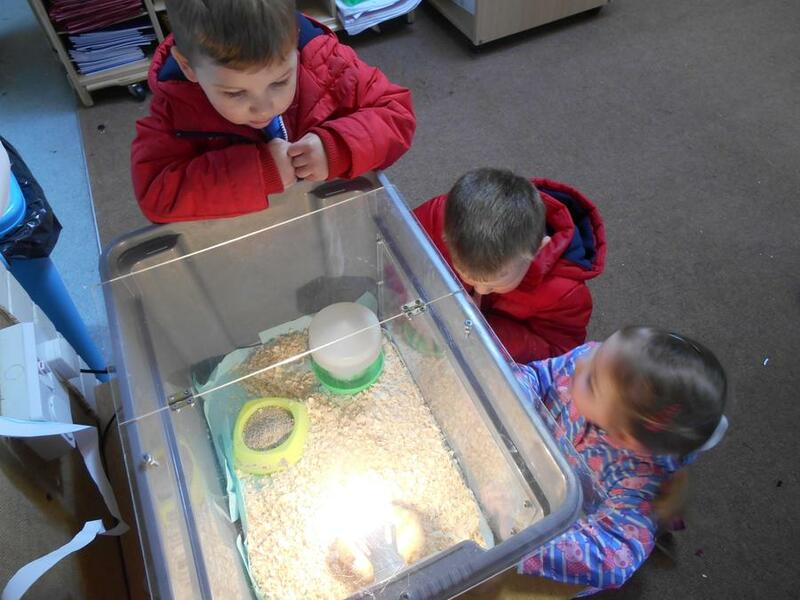 Our babies are very well looked after!! 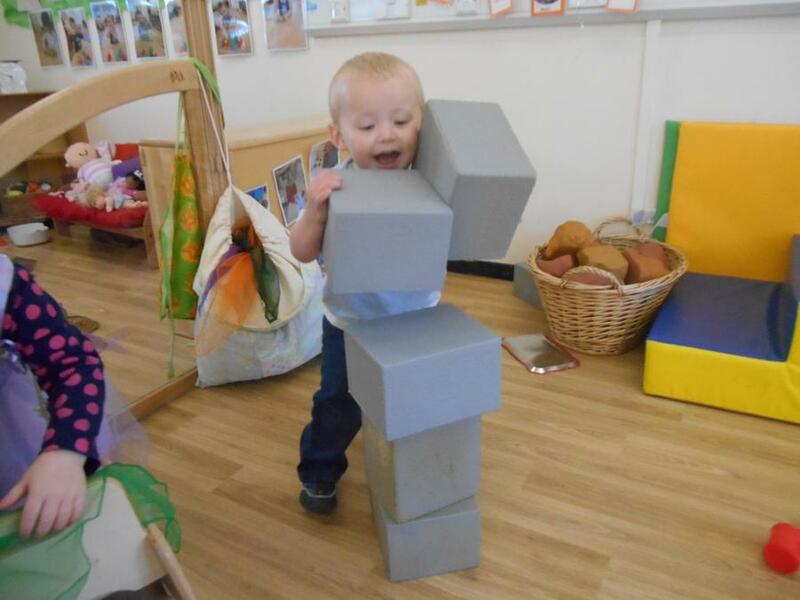 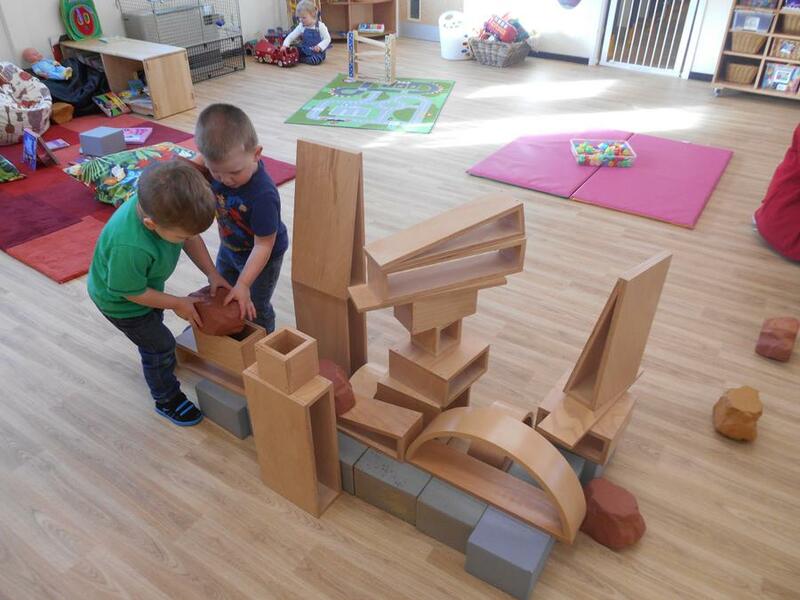 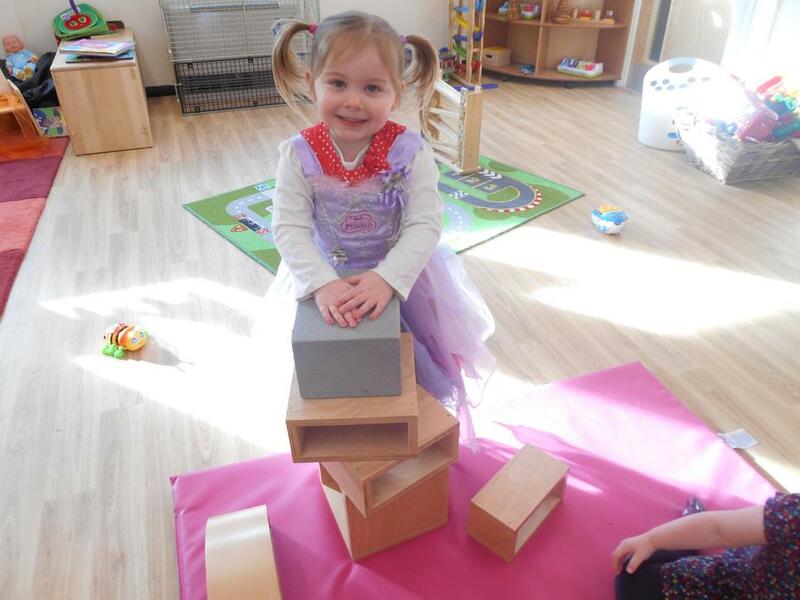 The children have been busy building with all our different bricks/blocks................ we also love knocking them down!!! 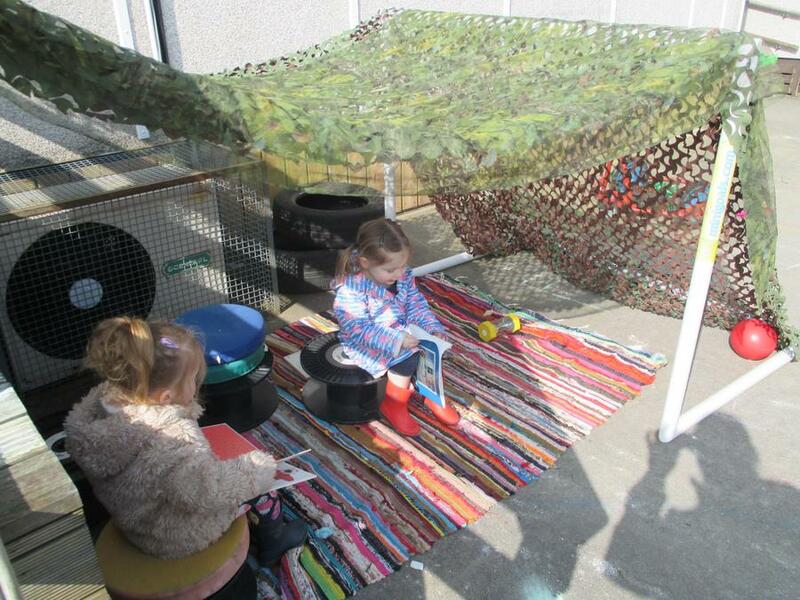 We have really enjoyed our stories, inside and out!! 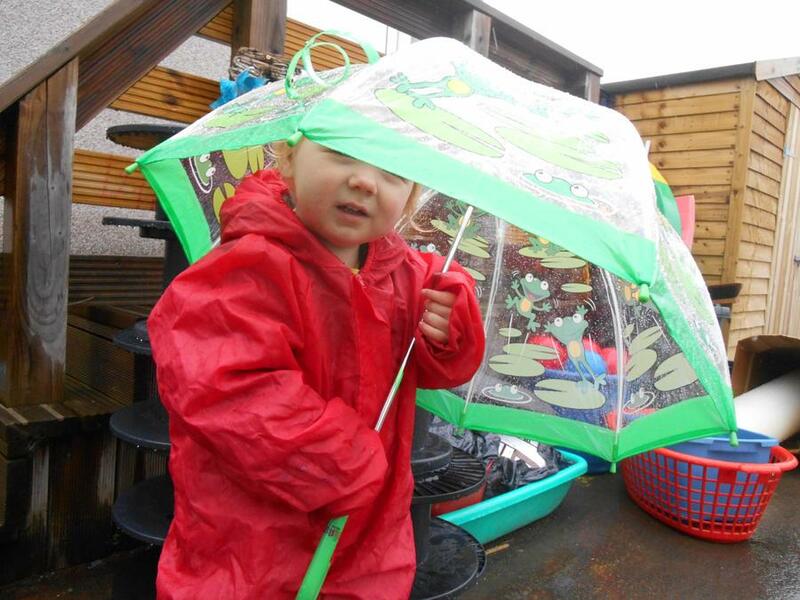 Look at us exploring outside!! 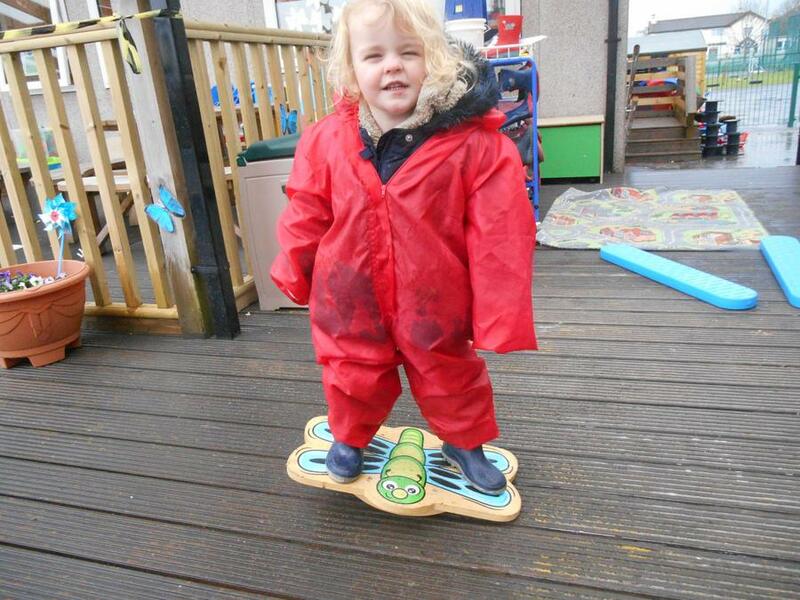 We are developing our physical skills!! 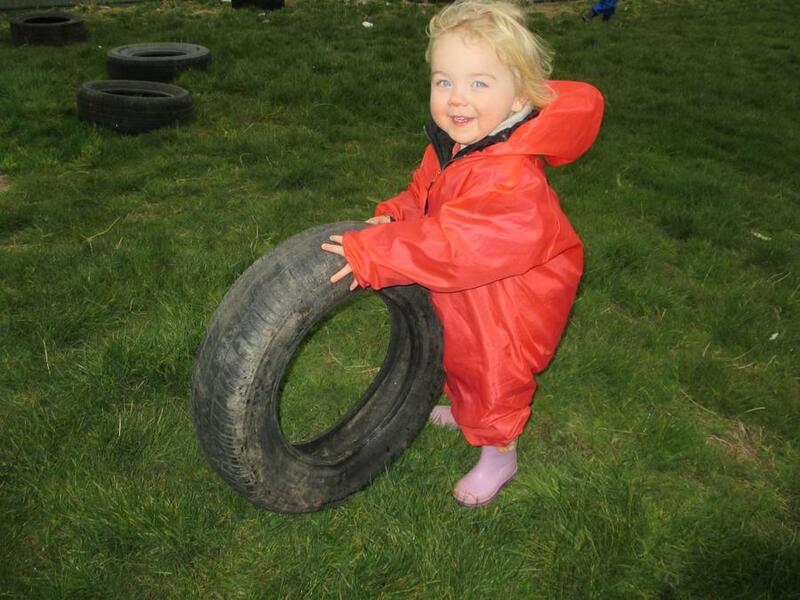 We were lifting tyres and rolling them around, finding out different ways of travelling up and down the grass mound. 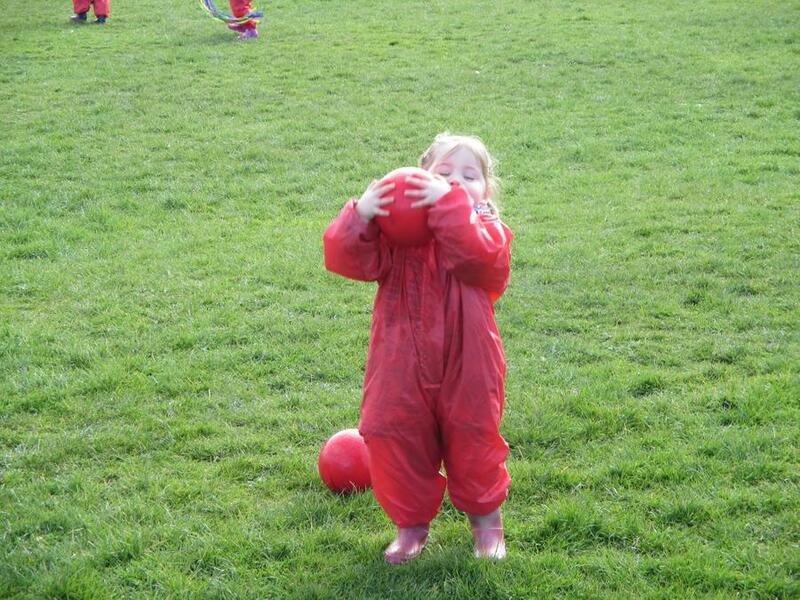 We were kicking, throwing, catching and rolling balls to ourselves and each other. 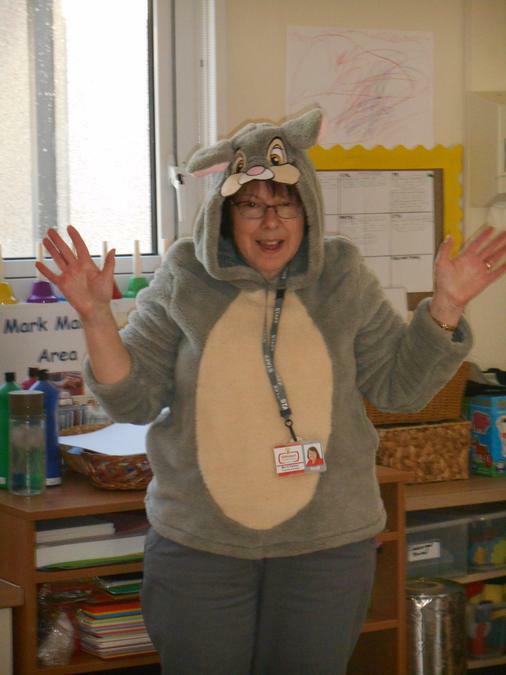 We hope you all have a great break and we look forward to seeing you in the new term.